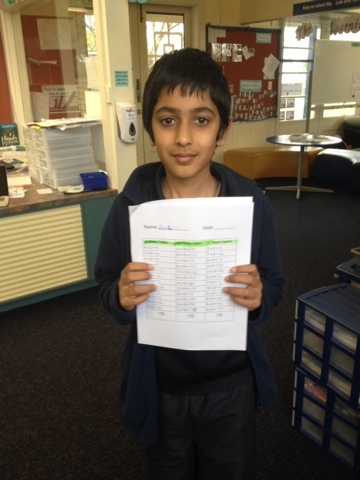 Congratulations to Khush who has mastered all of his times tables. He now is onto his division facts. Great effort Khush, you have worked hard to achieve this. Do you have any advice that might help others master their basic facts? Now I know my 1 to 20 times tables. Thanks for your feedback Josef and Mr Roberts. Well done Khush that you know all of your times table. I know that you are working on your divisions now khush well done. Well done Khush you know all the times table. Well done khush know all the times table. Well done khush keep up the grate work.-From Manaia. Final Game of Winter Sport! Why do people play sport? Dakota showing us how to work out 2 x 6. Why do we play sport? Using Equipment in Maths - Awesome Hayden! What Maths looks like in Ako Ngatahi.